Enlisted in the UNESCO’s Representative List of Intangible Cultural Heritage of Humanity, the Kumbh Mela is a much-awaited Hindu festival. 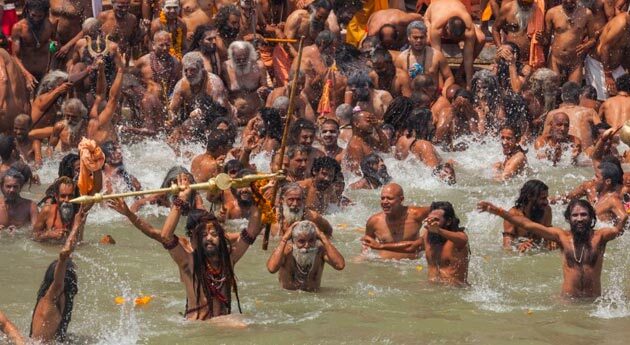 Reckoned as one of the largest human congregations on the Earth, the Ardh Kumbh Mela is about to take place at Allahabad in 2019. 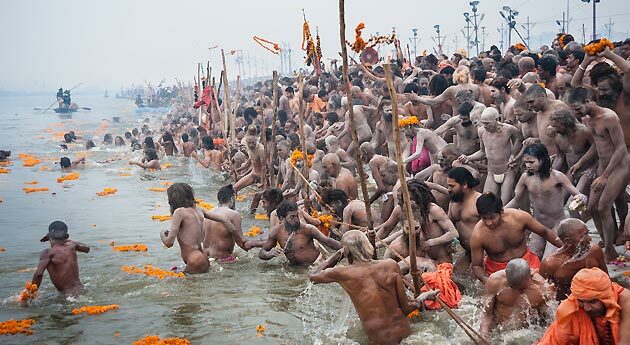 Spanning over 3 days and 2 nights, the Kumbh Mela Allahabad 2019 tour gives you a chance to take a holy dip at the Triveni Sangam. Besides this, attending the Ganga Aarti and exploring various camps is an added plus that will render you an unforgettable spiritual experience. Upon arrival at the Allahabad Airport or Railway Station, receive a warm welcome from our tour representative. He will help you with guided transfer to the Prayag Divine Kumbh Camp. Complete the check-in formalities and unwind yourself. Later on, get ready to visit the Mela area. Cherish some of the best sights and sounds. The divine aura will transfer you in a different world and will make your Indian Pilgrim tour memorable. The evening is reserved to attend the spectacular Ganga Aarti. Tiny flickering diyas floating on the river and priests with huge lamps present a sight to behold. After attending the holy ritual, return to the camp to savor delicious dinner. Enjoy an overnight stay in the camp. Wake up early in the morning at Day 2 of the tour. Our guide will assist you for the snan. 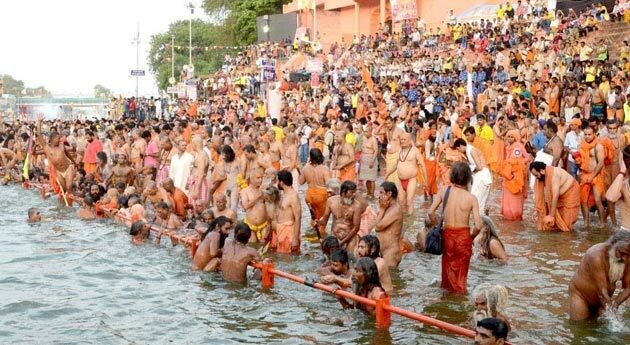 Held once after 12 years at a given place, the Kumbh Mela witness scores of devotees waiting eagerly to take a holy dip during the festival. Once done with the holy bathing, return to the camp to satiate your hunger with scrumptious breakfast. Thereafter, you will be visiting the Mahamandaleshwar Camp. This is followed by a visit to the Nagas and Sadhu camps. The excursion gives you a chance to converse with some of the sadhus and get detailed insights about the Ardh Kumbh Mela 2019. Post this, return to your camp to savor an appetizing lunch. Rest of the day is at your leisure. You can go out and enjoy the Mela on your own. Call it a day after relishing delectable dinner. Your pilgrim tour ends on this day. After having your breakfast, check out from the camp. Subsequently, you will be proceeding for your onward journey.